H.E. Rasheed Mohammed Al Maraj has been Governor of the Central Bank of Bahrain (CBB), previously the Bahrain Monetary Agency (BMA), since January 2005. As Governor, Mr. Al Maraj carries ministerial ranking and is the chief executive of the CBB, which is responsible for ensuring monetary and financial stability in Bahrain. The CBB is also the single regulator of Bahrain’s financial services industry. His career highlights include senior positions with Government, having served as Assistant Under-Secretary at the then Finance and National Economy Ministry and Under-Secretary at the Ministry of Transportation. Currently, Mr. Al Maraj is on the Boards of the Economic Development Board (EDB), National Oil and Gas Authority (NOGA) and member of the Board of Trustees of the Oxford Institute for Energy Studies, UK. He has previously served as Chairman of the Bahrain Telecommunications Company, as a member of the Consultation Council of the Co-operation Council for the Arab States of the Gulf and the Telecommunications Regulatory Authority (TRA) of Bahrain. Egypt Chairman and Managing Director, AMEDA President and Headed the WFC for two successful years. His areas of expertise are in relationship and team building, decision making & problem solving, project management, strategic & operational planning, quality & performance improvement, turnaround and crisis management, budget & financial reporting, process re-engineering, multi site technology operations. He holds MBA in Information Management, advanced diploma in Computer Science and a bachelor degree in Military Sciences. Mr Hussain Al Abdulla is the Director of Sales & Marketing at the Qatar Stock Exchange where he has been working since 1999 in different departments. Hussain Al Abdulla started his career at QSE as Trading Manager for couple of years, and then was appointed to create the Sales & Marketing department which he now leads aiming to drive growth and maximize revenue. Prior to this role, he was Head of GCC Market at Qatar Steel Company. Head of Strategic Management & Business Development at Argaam Investment Co. since June 2014. Content Manager at Argaam Investment Co. Nov. 2013 – May. 2014. M.B.A from Rotman School of Management, University of Toronto, Toronto, ON, 2011 – 2013. Equity Research Analyst with Al Rajhi Capital. 2009 – 2010. King Fahd University of Petroleum & Minerals, Dhahran, Saudi Arabia. B.Sc. degree in Finance. VP of Communication, Rotman Middle East Business Association. Awarded the Certified Islamic Banker Certificate (CIB). Passed General Securities Qualification Exams (CME-1). Treasurer of my tribe (Al Fawaz) social fund. Member of Arabian Stallions Toastmasters Club. Shaikh Khalifa bin Ebrahim Al Khalifa is currently the Chief Executive Officer of Bahrain Bourse. Shaikh Khalifa joined the Bourse as Deputy Director for CSD and Information Technology in 2010. In addition to his responsibility of managing day to day operations for Depositary, Clearing and Settlement, and IT, he was also responsible for the creation and implementation of Bahrain Bourse’s business & functional strategies. He was instrumental in restructuring Bahrain Bourse to go in line with the mission, vision and the goals of the organization. Shaikh Khalifa is an active member of several international organizations representing Bahrain Bourse and actively engaged with different regional and international media outlets covering the capital market of Bahrain. He graduated from King Fahd University of Petroleum and Minerals with a BSc degree in Science of Finance. He also completed his post graduate studies earning an MBA from CASS Business School - London. Racha has over 18 years of experience in developing and selling financial services and products to institutional customers in Europe and MENA region. Racha’s strategic skills are coupled with excellent relationships in the region across various sectors. Result oriented, with a mathematical mindset, Racha has a wealth of experience including international multi-asset cross selling. Prior to joining MENACORP, Racha was the Business Development Manager in the Middle East for Fidessa where she built the Fidessa’s brand in the Middle East and strategically positioned its products in the region; prior to that Racha held positions in Tier 1 international banks and institutions in London- UK, the likes of Lehman Brothers, State Street and Bloomberg. London – UK. She speaks English, Arabic and French. Mr. Ahmed Saleh Al Marhoon successfully graduated with an MBA degree from a reputed university in United Kingdom. In the year 2001 Mr. Marhoon assumed his duties as the Director General of the Muscat Securities Market. He has since worked for Oman’s public and private sector organizations in leading positions in many public and private sector institutions like the Ministry of Oil & Minerals and one of the brokerage companies in Oman. He serves as a board member in many banking and financial institutions. 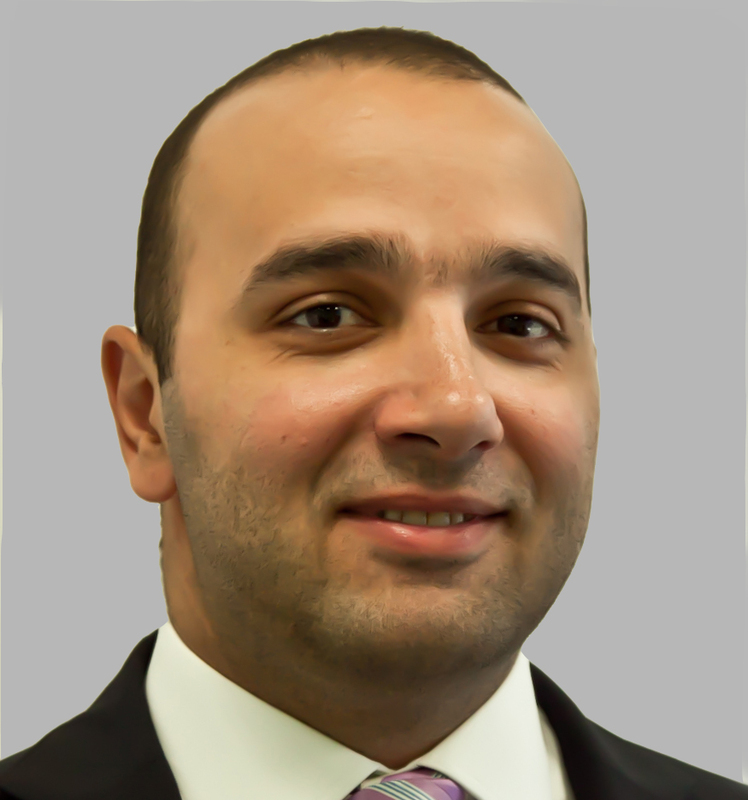 Nabil Al Rantisi has over 10 years of management experience in the capital markets business in the MENA region. His experience includes managing robust relationships, leading sales & trading activities of the brokerage for institutions and HNWI and advisory on public equities. Prior to joining MENACORP, Nabil was working in the capacity of Director Regional Brokerage at Rasmala Investment Bank where he was responsible for the MENA trading platform along with the UAE based entity, Rasmala Financial Brokerage. Nabil Al Rantisi holds an MBA from Southern New Hampshire University, a Bsc in Finance & Banking from Amman University and is also a member of the Society of Technical Analysts in London, UK. Nabil also served as a member of the product development work group on Bahrain Financial Exchange. He speaks English and Arabic. NBAD has appointed Mohammed Ali Yasin, a well-recognized capital markets specialist, as the Managing Director of its Brokerage company NBAD Securities in November 2012. Since joining NBADS, he was able to turn it around to become the leading brokerage company in the UAE with more than 9.5% market share in 2014. Mr. Yasin is a highly trusted authority and financial analyst of regional financial markets for over 17 years, and is widely regarded as an opinion leader that is widely quoted by local and international media on the MENA economic activities. He is also a member of the select brokerage committees nominated by the Emirates Securities and Commodities Authority (ESCA), Abu Dhabi Securities Exchange (ADX) and the Dubai Financial Market (DFM) which help in drafting new laws and regulations and advise on new market challenges and developments in the UAE. Mr. Yasin joined NBAD Securities from "CapM Investment", where he served as its Chief Investment Officer and board member since 2010. Mr. Yasin has also served as Chief Executive Officer of "Shuaa Securities" between 2006-2010; and before that as Managing Director at Emirates Securities since 1998. Robert Ansari joined MSCI in 2005 as a member of the client coverage team and is now Executive Director and Head of the Middle East at MSCI based in Dubai. Robert previously held the post of Head of Index Sales for UK Banks and Brokers for MSCI in London. Before joining MSCI Robert held positions at Barclays Capital, Dresdner Kleinwort and Deutsche Bank, all in London. Robert received his undergraduate degree in Medical Biochemistry from Brunel University in London and his postgraduate degree in Molecular Genetics from Cambridge University. Charbel Azzi is head of Middle East, Africa and CIS at S&P Dow Jones Indices. He joined the company in April 2009, and is based in Dubai, United Arab Emirates. Charbel has extensive experience in investment management, portfolio construction, strategy and product development, capital raising, and marketing and selling investment products and services across the Middle East. He works closely with clients to design and deliver indices and strategies that utilize S&P Dow Jones Indices’ expertise in custom index design, Shariah-compliant investing, asset allocation, commodities, equities and emerging markets. Prior to joining SPDJI, Charbel worked at Standard Chartered Bank in Dubai as director of origination for the Middle East and North Africa, working with regional family and private offices, corporates, pension funds, investment and insurance companies, and high net worth clients. Charbel holds a BBA from the American University in Dubai. He is fluent in English, Arabic and French. Mustafa Baltaci is the Secretary General of the Federation of Euro-Asian Stock Exchanges. He was the Executive Vice President (Deputy CEO) at Borsa Istanbul until September 2014 for more than four years and overseeing operations for global/regional business development, external affairs, strategic partnerships, sales, marketing, listing promotion, market data, indices and sustainability. He has undertaken roles at various entities ie Board Chair of Kyrgyz Stock Exchange, Board Director of Baku, Sarajevo and Montenegro Stock Exchanges, Board Member of Global Compact Turkey, and Council Member of International Integrated Reporting Council. He led inaugurating the Turkey’s Sustainability Platform, a cross-disciplinary forum of twelve sectoral non-profits. He has previous experience with Turkish Prime Minister’s Office at various advisory and executive positions. He worked at the World Bank in 2005-2006, headed the Regulatory Reform Group between 2006 and 2009, worked as an advisor to the Deputy Prime Minister for Economy in 2008 and 2009, and Board member of Ziraat Bank and Ziraat Bank Moscow between 2007 and 2009. He has bachelor’s degree from Ankara University School of Political Sciences, master’s degree from University of Pennsylvania. Fathi Ben Grira started his career within the US law firm Skadden, Arps, Slate Meagher & Flom LLP where he worked on complex cross-border M&A transactions, international securities offerings and privatizations. Then, he joined the investment bank Lazard within the Merger & Acquisition and Capital Markets team where he focused on transactions involving listed companies (takeovers, IPOs, squeeze-outs and delistings notably). During his corporate lawyer / investment banker years, Fathi was involved in several high profile deals such as the second-phase of privatization of Air France, the merger between Gaz de France and Suez, the privatization of the French highway network Autoroutes Paris-Rhin-Rhône, the restructuring of Eurotunnel Group and the acquisition of American Power Conversion by Schneider Electric, notably. Fathi was also involved in more than 15 IPOs and international securities offerings (most of the time with a Reg S or 144A component) and played a key role in the implementation of the French telecom operator Orange in Tunisia. Since 2011 he is the CEO of MENACORP, one of the UAE’s largest financial services firms with 3 billion USD of clients’ portfolio value (ranked first in the UAE among 50 competitors in terms of trade value, full year 2013, according to official data published by the Abu Dhabi Securities Exchange and the Dubai Financial Market). Fathi graduated from HEC Paris Business School “Grande Ecole” (MSc. in Management and Finance) and from University of Paris Pantheon-Sorbonne (Business Law). He speaks English, Arabic and French. Sunil Benimadhu has been in office as Chief Executive of the Stock Exchange of Mauritius (SEM) since May 1998 after having held various positions in the Securities Industry. He has played an instrumental role in uplifting the operational, technical and regulatory infrastructure of the SEM and contributed to its emergence as one of the leading Exchanges in Africa. Sunil is the Chairman of Global Finance Mauritius, the apex body of private sector operators in the Financial Services Industry in Mauritius. Sunil was elected in October 2014 for a three-year term on the Board of the World Federation of Exchanges (WFE), an association of the World’s leading Stock Exchanges. Sunil was the President of the African Securities Exchanges Association (ASEA) an association of 23 Exchanges operating on the continent, from August 2010 to November 2014. He was a member of the Executive Committee of the South Asian Federation of Exchanges (SAFE), and the Chairman of the SADC Committee of Stock Exchanges (COSSE). Sunil is a regular speaker on emerging markets and on African markets in international stock exchange conferences. Before joining the Stock Exchange of Mauritius, Sunil Benimadhu worked in the Treasury Department of the African Development Bank (ADB) from February 1997 to April 1998, where he managed the Bank’s assets on international fixed-income markets. Sunil Benimadhu was the General Manager of the National Mutual Fund Limited between December 1992 and February 1997. He played an instrumental role in the structuring, marketing and setting up of the National Investment Trust Limited, one of the largest investment trusts listed on the Stock Exchange of Mauritius. Sunil Benimadhu holds a MBA in Finance and Investment from the University of Illinois, United States. He also holds a D.E.A in Development Economics and a Maîtrise in Macro-Economics from the University of Aix-Marseille, France. Eric has accumulated more than 30 years of experience in the finances industry, with brokerage houses and exchanges. For the last 10 years, as Principal Consultant for Euronext, he has advised exchanges around the globe on development matters and has specialized in dealing with emerging exchanges and more particularly MENA region exchanges. Jochen is in charge of business development for the Hong Kong-based capital markets consulting firm International Securities Consultancy (ISC). ISC is one of the world’s leading professional capital market consultancies. It specialises in providing advice and technical assistance to governments, stock and derivative exchanges, regulators, central depositories, clearing companies and multi-national financial organisations on all facets of establishing and developing capital markets. Before joining ISC, Jochen worked 15 years in different leading positions for Deutsche Börse Group, a leading and fully integrated global exchange organisation headquartered in Frankfurt. From 2010 to 2013 he was responsible for its International Affairs unit, leading a multinational team in charge of business development and sales activities in Russia/CIS, Central and Eastern Europe, Turkey, MENA, and India. Prior to that, he established Deutsche Börse’s business in Russia, including opening up a Representative Office in Moscow in 2007 and negotiating a partnership agreement with Moscow Exchange, which was signed in front of President Putin and Chancellor Merkel in 2012. He joined Deutsche Börse Group as an IT project manager beginning of 1999. Jochen represented Deutsche Börse in different intergovernmental working groups and worked with regulatory authorities, ministries and the German Chancellor’s office in questions of capital market regulation and international cooperation. Between 2001 and 2005 he worked as a lecturer for Frankfurt School of Management. He holds a diploma in mathematics and computer science from the University of Göttingen and a Ph.D. in Mathematics from the University of Cottbus, Germany. Dominique Cerutti is the CEO of Euronext and Chairman of its Managing Board. Euronext operates regulated and transparent cash and derivatives markets in Amsterdam, Brussels, Lisbon, London and Paris. Euronext is a wholly owned subsidiary of the InterContinentalExchange Group, Inc.
Until the acquisition of NYSE Euronext by ICE in November 2013, Dominique Cerutti was President and Deputy CEO of NYSE Euronext and member of the Board. As Global Head of Technology, he was also in charge of both IT and NYSE Technologies, the commercial technology branch of NYSE Euronext. For much of his career Dominique Cerutti has worked in international roles covering large scale organisations. Before 2009, Dominique Cerutti spent over 20 years at IBM in various roles including General Manager of IBM Europe and General Manager of the leading market services provider in Europe, IBM Global Services EMEA. He was also a member of IBM’s Chairman and CEO senior leadership team. Before joining IBM in 1986, Mr. Cerutti spent two years at Bouygues, a French civil engineering company, in Saudi Arabia. Dominique Cerutti is a Board Member of the LCH.Clearnet Group. Mr Chamas brings with him over 18 years of operational experience. Prior to joining Arqaam Capital, Mr Chamas was a founding member at European De Gestion Privée, an investment firm based in Luxembourg, Geneva and Paris. Before that, he held several senior positions at UBS Warburg and Credit Suisse First Boston (Head of operations) where he was responsible for some key Middle and Back Office functions. Mr Chamas has a Masters degree in Business and Organisation from the University of Paris. Samer Deghaili is Head of HSBC’s Equity Capital Markets Middle East Team, based in Dubai and covering the Middle East and North Africa region. Samer joined HSBC in 2010 from Samba Capital where he worked on origination, structuring and execution of transactions in Capital Markets and Advisory in Saudi Arabia. HSBC has a leading ECM practise in the Middle East having led over 45 ECM transactions across the region since 2005. Recent HSBC ECM transactions include: US$185m offering and dual listing of Orascom Construction (2015), US$700m IPO of Dubai Parks and Resorts (2014), US$6.0bn IPO of National Commercial Bank (2014) - the largest Middle East offering to date and EMEA Finance Award for Best IPO in the Middle East in 2014, US$1.58bn IPO of Emaar Malls Group (2014), US$1.0bn Convertible Bond of DP World (2014), US$138m IPO of Sembcorp Salalah on the Muscat stock market (2013), US$342m IPO of Al Noor Hospitals (2012), and US$188m Mannai Corporation Rights Issue (2012). Samer has an MSc in Finance and Economics from London School of Economics and a B.A in Economics from The American University of Beirut and is also a CFA Charterholder. Chip Dempsey is an Executive Director in the Principal Strategic Investments group at Morgan Stanley. Chip has co-led the group’s recent investments in market structure ventures in emerging and frontier markets as well as in financial technology ventures and consortia. He spent 5 years as an independent consultant to start-up exchanges and clearinghouses across emerging markets and the US. Chip was on the turnaround team that transformed the Chicago Board of Trade Clearing Corporation from listed derivatives clearing to become the global leader in OTC credit default swap index clearing (ICE Trust.) Chip has been global head of sales and strategy at SunGard Futures (the global leader in listed derivative post-trade processing) and CQG (an independent market data and order routing vendor.) He was a proprietary FX dealer at Chemical Bank, and began his career as an options market-maker on the floor of the Chicago Board of Trade. Meyer "Sandy" Frucher is Vice Chairman of The NASDAQ Group. In this role, Mr. Frucher is responsible for developing global exchange relationships and serves as an advisor to the NASDAQ senior management team. He joined the exchange after NASDAQ acquired The Philadelphia Stock Exchange in 2008, where he was Chairman and CEO since June,1998. Mr. Frucher also has a distinguished career in city, state, and federal government, including serving as the chief labor negotiator for New York State, CEO of Battery Park City Authority, and CEO of the School Construction Authority. Mr. Frucher is the founding chairman and trustee emeritus of the Massachusetts Museum of Contemporary Art. He also sits on the Board of the Saratoga Performing Arts Center. Yasser Geissah is the CEO of The National Investor (TNI) an Abu Dhabi based investment and advisory firm listed on the ADX as a PJSC company. TNI is a major capital markets player in the MENA region and an active investor in the local markets. Yasser has over 18 years of experience in commercial and investment banking in the UAE. As a veteran in the industry, he brings with him extensive experience involving the establishment and management of a wide range of public and private joint stock companies. Yasser is a proven, hands-on leader and has held senior executive positions in leading financial institutions in the UAE including Abu Dhabi Investment Company (Invest AD), National Bank of Abu Dhabi and CAPM Investment. Yasser serves as a Board Director for Colliers International UAE, Advanced CURE Diagnostic Center, and is a member of the Executive Council of L’Azurde Group. He holds a Masters in Management from North Carolina State University. Mr. Hajeyah has over than 13 years of experience in the financial services sector with primary focus on asset management. Currently, he is Senior Vice President of the MENA Asset Management. Co-Managing MENA Asset Management Business. Mr. Hajeyah Joined Global Investment House in February 2005 as an investment Analyst in the Asset Management. Prior to “Global”, Mr. Hajeyah worked in Gulf Bank - Kuwait as a senior customer service representative from 2002 to 2005. He served on the board of several regional companies and equity funds. Mr. Ammar holds MBA degree from Kuwait Maastricht Business School and a BSc degree in Business Administration (Finance) from Kuwait University. Member of the Board of Director of JS Global Capital Limited – Pakistan (September 2013 - till date). Listed on Karachi Stock Exchange. – Kuwait ( September 2014 – till date ). Chris Hollands joined Thomson Reuters in 2014 and is responsible for leading the EMEA Equities horizontal team focusing on the Equities Desktop, Transactions and Feeds propositions across the region. Before starting his role at Thomson Reuters, Chris has had 20 years of experience in a variety of sales and business development roles in institutional sales trading and electronic trading, primarily within Equities and Listed Derivatives. Most recently, Chris worked for 13 1/2 years at TradingScreen joining at the inception of its European operations to participate in its evolution and development into one of the leading, multi asset class EMS’ in the industry. At TradingScreen, Chris was Head of European Sales and was globally responsible for the firm’s commercial relationships with all of the tier 1 investment banks. Prior to this, Chris worked in buy side business development at the London Stock Exchange for 2 years after a 4 year stint at Fimat (now Newedge) sales trading equity derivatives. 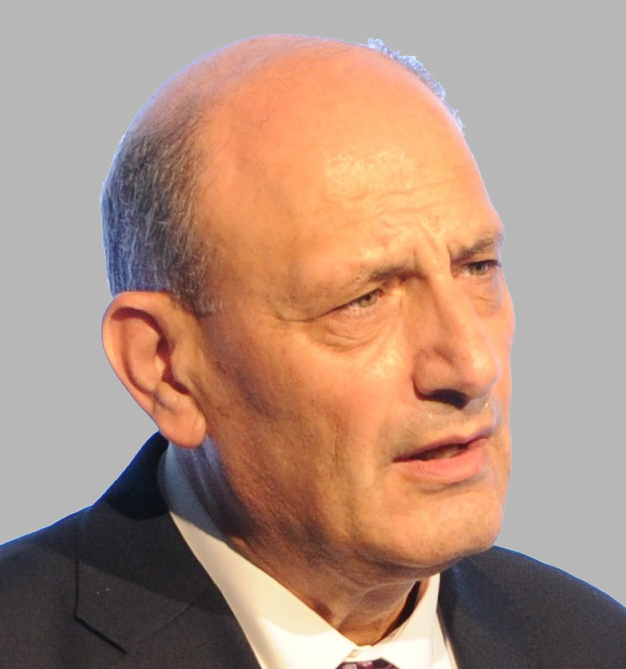 Dr. Fadi Khalaf was appointed Secretary General of the Arab Federation of Exchanges since September 2009. Prior to this appointment, Dr. Fadi Khalaf was the Chairman of the Beirut Stock Exchange for 10 years (1999-2009). Before moving back to Beirut, Dr. Khalaf worked as a Financial Consultant in France for 6 years (from 1994 to 1999). Previously, he worked at the credit department in Bank of Beirut and made several studies on the development of the Forex department. He worked also as a Technical Analyst consultant for a brokerage Firm in Beirut. Dr. Khalaf has over 25 years of experience in the financial markets and banking fields.He is one of the founder members of the French Association of Technical Analysts (AFATE) in Paris and a member since 1991. Dr. Khalaf worked closely with the Lebanese Ministry of Finance on the draft of the Capital Market law and defended it in the Lebanese Parliament. Dr. Fadi Khalaf holds a PhD in Economics from the University of Paris I - Sorbonne in France, a Masters Degree in Business Administration and the Diploma of Technical Analyst from the “Ecole d’Analyses Techniques” in Paris. Laurens Koning is an in-house lawyer at Qatar Stock Exchange since 2011. Before joining Qatar Stock Exchange, Laurens has been with Euronext Amsterdam since 1999 in various legal, business operational and management roles, most recently as head of the global index business of NYSE Euronext. Thomas Krantz serves as senior advisor to Thomas Murray, the London firm specialized in custody and financial markets ratings and information. He is also ambassador for Integrated Reporting, the global initiative developing a new approach to corporate reporting that demonstrates the linkages between an organization’s strategy, governance and financial performance and the social, environmental and economic context within which it operates. From 2001-2012, Thomas Krantz served as Secretary General of the World Federation of Exchanges, the Paris-based trade association for the regulated exchange industry. He was with the Federation as Deputy Secretary General from 1997-2001. In support of better quality financial reporting, in his capacity as WFE Secretary General he served on the International Federation of Accountants’ IAASB Consultative Advisory Group from 2002-2011. In conjunction with his work on financial information for public listed companies, Mr. Krantz served a term as Chairman of the Advisory Board for XBRL International. Before coming to WFE, Mr. Krantz worked as an institutional investment advisor and head of the sales team at the Banque de Gestion Privée / Crédit Agricole group in Paris, and prior to that headed equity sales and trading at Dresdner Bank’s Paris office. He also worked at Arthur Young in Paris as an auditor in the financial services sector. From 1986-88, Mr. Krantz managed central bank reserves deposited at the Bank for International Settlements in Basel, along with the bank’s own capital invested in multi-currency treasury instruments. Mr. Krantz began his career in the credit training program at the Chase Manhattan Bank in 1979, working successively in New York and Paris in country risk evaluation and in corporate banking for trading and commodity companies. Mr. Krantz earned an A.B. degree with high honors in history from the University of California at Berkeley; an A.M. degree in Russian studies from Harvard University; and an M.Litt. degree in politics from Oxford University, upon defence of a thesis on Soviet foreign policy. Mr. Krantz is married and has two children. His non-professional community support goes to Healing Hands, a micro-foundation in Poona, India, devoted to sanitation and nutrition in a girls’ school. André Küüsvek is the Director for Local Currency and Capital Markets Development at the European Bank for Reconstruction and Development (EBRD). His earlier career with the EBRD includes being a Country Director in Ukraine, the second largest country of EBRD investment in 2008-2013, and a Country Director in Kazakhstan in 2004-2008. Before this, André led project teams investing equity and debt in financial institutions across Central and Eastern Europe and the CIS from 1996-2004. At that time he was also the EBRD's bank-wide coordinator for capital markets and stock exchanges, as well as the financial sector coordinator for several countries. André started his banking career as one of the first commercial bankers in Estonia, heading the international departments of Commercial Bank of Tartu and later Bank of Tallinn in the early 1990s. He then moved to Germany, working for a private bank Schröder Münchmeyer Hengst, and for Dresdner Bank until 1996. André has served on the boards of over 30 banks, insurance companies, equity funds and enterprises. An Estonian national, André graduated from Tallinn Technical University, studying also in Hungary, Finland and Germany. He is also a graduate of Estonian Business School and Stockholm School of Economics. Joined SICO in 2004. Fadhel was Head of Brokerage at SICO for five years before being appointed as Head of Investments & Treasury in 2008. He was re-appointed Head of Brokerage in 2010. Prior to joining SICO, he worked for a number of leading financial institutions including Investcorp and Chemical Bank (now JPM Morgan Chase). Fadhel holds an MBA from Glamorgan University, UK. Dr. Stephen Malinak is Global Head of Content Analytics for Thomson Reuters, serving as an analytics thought leader for Financial and Risk customers worldwide. His team builds a wide variety of innovative analytics and quant models based on the vast range of Thomson Reuters content sets across multiple asset classes and business segments. Some examples include innovative Smart Money alpha factors based on Insider Filings, Short Interest, and Institutional Fund Holdings. His team has also created a groundbreaking suite of credit risk scores for public companies based on structural models, forward-looking financial ratios, and text mining of news, transcripts, filings, and select broker research. Current research includes investigations of Big Data content sets including various forms of unstructured text and transactions data. Stephen was Director of Quantitative Research for StarMine prior to its acquisition by Thomson Reuters in 2008. StarMine was a San Francisco based startup known for rating the performance of Wall Street analysts. Stephen and his team of quant researchers built best-in-class equity valuation and momentum models taking advantage of StarMine’s proprietary SmartEstimates®. Previously, he worked as a litigation consultant at LECG, valuing businesses and intellectual property in the telecommunications, technology, and pharmaceuticals industries. As a strategy consultant for Strategic Decisions Group, he specialized in probabilistic forecasting, including detailed cash flow forecasts for portfolios of new business ventures, fundamental supply/demand analysis of commodity markets, and stochastic price process models for risk management. Stephen has a Ph.D. and M.S. from Stanford in Engineering‐Economic Systems. He also has an S.B. in Electrical Engineering and Computer Science from MIT, where he studied acoustics under Dr. Bose. He currently lives in beautiful Napa, California with his wife, daughter, and growing pack of Cavalier King Charles Spaniels. Adel Merheb is a seasoned financial professional with over a decade-long experience in regional (GCC) and global financial markets. Prior to rejoining Shuaa as Director of Equity Capital Markets in September 2014 and as part of his bet on the strong recovery in GCC equity markets in mid 2012 , Adel founded TradeYourMarket.com, an online portal dedicated to providing technical and strategy research covering GCC equity markets. Prior to that, Adel held various investment positions and acted as a portfolio advisor to many regional institutions and high-net-worth individuals (HNWI). He is the author of many research publications and opinion articles featured on some of the top UAE magazines such as the National and Arabian Business. He is also a regular guest speaker on Al Arabiya and CNBC Arabia. Adel’s call on January 2, 2013 rightly predicted the early stages of the equity bull markets in Saudi and the UAE and his interviews in the months of September and October 2014 rightly called the corrections witnessed in late 2014. Adel holds a Bachelor’s degree in Business (Finance) from the American University of Beirut, graduating top of his class with a merit of Distinction. He is also affiliated with the CFA institute and the Market Technicians Association. Nadim was appointed Thomson Reuters Managing Director for GGO Middle East and North Africa in June 2014. Prior to this appointment, Nadim was Interim Managing Director for Middle East, Africa & Russia/CIS and prior to that led the Intellectual Property & Science business for the same region. He joined Thomson Reuters in 1993 and has worked across the business in technical, sales, operations and business management, roles including: Global Head of Business Planning and Operations, Rapidly Developing Economies (2010 – 2012), Managing Director, East Mediterranean & North Africa (2006-2010), and Business Manager, East Mediterranean (2001-2006). Nadim started his career with IBM’s regional partner in Lebanon and holds a Bachelor of Computer & Communications Engineering from the American University in Beirut, Lebanon. He is fluent in Arabic and English and is based in Dubai, United Arab Emirates. Gerard Scully is Director of International Primary Markets at the Irish Stock Exchange, with responsibility for the Debt and Investments Fund businesses. He joined the Irish Stock Exchange in March 2004. From 1987 until 1997 he worked in London as a legal advisor, including 6 years as legal advisor on derivatives and capital markets matters, including some of the first “euro” debt transactions. Gerard has qualified as a solicitor in England and Wales and in Ireland. Robert Shakotko is Managing Director at S&P Dow Jones Indices. He joined Standard & Poor’s Index Services division in 1997 and has been based in New York since that time. Following the merger of S&P Index Services and Dow Jones Indexes in 2012, Robert has overall global responsibility for all index commercial activities including sales and licensing, marketing, exchange partnerships, and client outreach. Prior to 1997, Robert spent 10 years with the International Finance Corporation, a World Bank affiliate, in a variety of assignments around the world, and where he most recently managed the Emerging Markets Database (EMDB) and the IFC Emerging Markets Indices. Before joining IFC, Robert spent several years teaching economics at Columbia University. Robert holds a Ph.D. in economics from the University of Minnesota, and has dual Canadian and U.S. citizenship. Deirdre Somers is Chief Executive of the Irish Stock Exchange (ISE) since June 2007. Having joined the ISE in 1995, Deirdre was Director of Listing where she was instrumental in establishing the ISE’s leading position internationally in listing investment funds and debt securities. Deirdre also oversaw the establishment two niche markets - the Enterprise Securities Market (ESM), the ISE’s enterprise market which focuses on growth companies and the Global Exchange Market (GEM), a professional market for debt issuers. She is outspoken about the importance of the role of markets as a relevant and accessible funding source for issuers, particularly for high potential SME companies. A Fellow of Chartered Accountants Ireland, Deirdre sits on the National Council of IBEC. She was Vice-President of the European Federation of Securities Exchanges (FESE) from 2010 – 2013 and currently chairs a subgroup of the FESE Board which focuses on strategy. She was a member of the IFSC Clearing House Group which co-ordinates the development of the international financial services sector in Ireland and is also a former Governor of University College Cork. Deirdre is married with two children. Jalil Tarif is a Jordanian economist. He currently serves as the Secretary General of the Union of Arab Securities Authorities (UASA). Tarif started his career in the Central Bank of Jordan and held the positions of Executive Director and Deputy Director General in Amman Financial Market between 1992 and 1999, where he oversaw Jordan's entire capital market. Through his role as Deputy Director General, Tarif assisted in writing the new securities law that implemented the three separate entities that make up Jordan’s Capital Market today. In 1999, Jalil Tarif was appointed as the first Chief Executive Officer of Amman Stock Exchange. He left his position as CEO in December 2012 to become the Secretary General of the Union of Arab Securities Authorities located in Dubai. Some of the roles Tarif has held during his career include: President, NSC-Unix user group, Atos-Euro Next Market Solutions; Chairman of IOSCO Self-Regulatory Organization Consultative Committee; Member, OECD Corporate Governance Working Group, MENA region; Chairman of FIAS. In addition, he participated in meetings with the IMF, IBRD, IOSCO, WFE, FEAS, COMCEC and UNCTAD. Executive Vice President and CFO Hüseyin ZAFER graduated from the Department of Mathematical Economics at Hacettepe University as valedictorian in 1980. Zafer earned his MA degree on money and finance from Northeastern University in Boston, MA as valedictorian. Zafer started his career with the Central Bank of the Republic of Turkey (CBRT) Directorate General of Foreign Exchange in 1981. He continued to work for the CBRT in Secretary General's Office, and also on the surveillance and inspection of banks and financial institutions. During 1994-1998, he was assigned to work in the establishment of the Savings Deposit Insurance Fund (SDIF), while he also assumed the position of Accounting Manager in charge of Treasury and Fund Management. Hüseyin Zafer worked as Deputy General Manager of the Directorate General for Statistics under the Central Bank of Turkey between 1998-2001. From 2001 to 2004, Hüseyin Zafer worked as the New York Representative of the CBRT, as Consultant during the 2004-2008 period, as Communications and Foreign Relations Director between January 2009-May 2012, and as General Director of Statistics from May 2012 to April 2013. 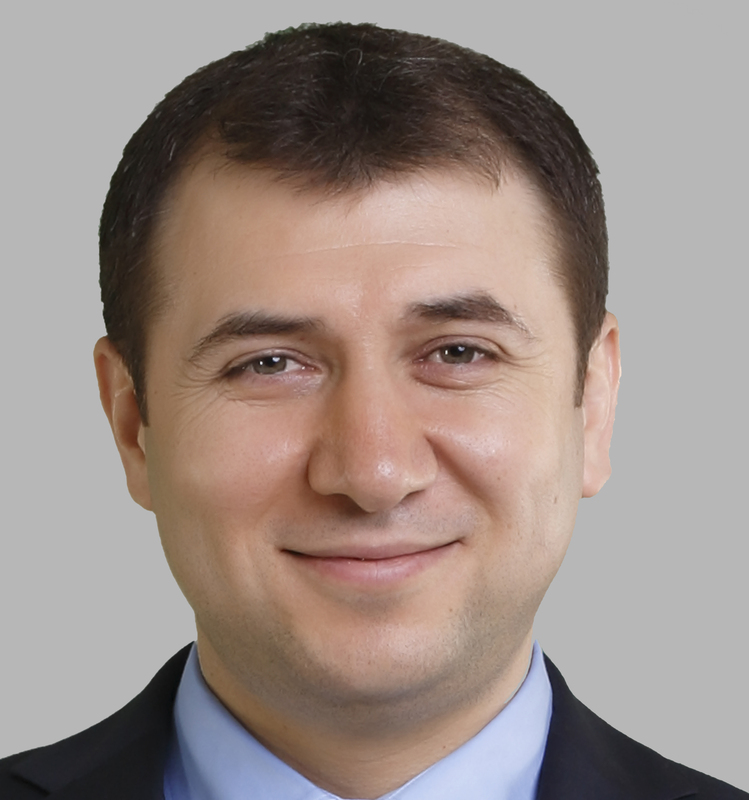 Hüseyin Zafer took office in Borsa İstanbul as Group Director of Finance and Communications in May 2013. Appointed as Executive Vice President of Borsa İstanbul on August 1, 2013, Hüseyin Zafer is also CFO of Borsa İstanbul. Zafer is in charge of Accounting and Finance, Corporate Communications, Strategic Planning and Investor Relations, Human Resources, and Support Services. Prior to assuming his current role, Mr. Zingg was Head of iShares Sales for the German-speaking parts of Switzerland. Before he joined BlackRock in 2010, Andreas worked for UBS Global Asset Management, most recently as Senior Product Specialist for UBS ETFs. He began his career as project manager with McKinsey & Co. in Zurich, where he was responsible for leading projects with a particular focus on the areas of corporate strategy, business transformation and distribution strategies for clients in the financial sector. Mr. Zingg studied economics and finance at the University of St. Gallen and has earned a PhD in Business Administration from the University of St.Gallen in 2009.